Preheat your oven to 450 degrees. Sift your flour with a flour sifter. Add all your ingredients into a large bowl and stir with a spoon. Do not use a mixer. 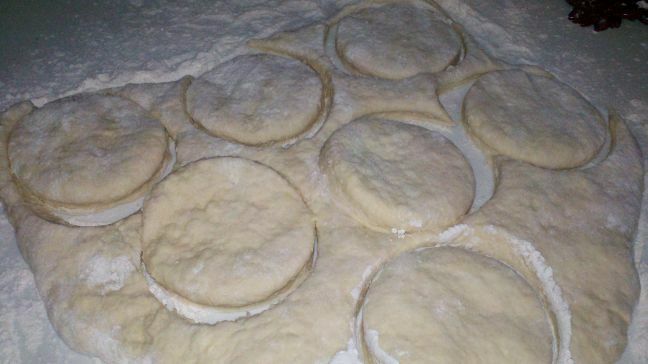 Once it is stirred up, dump onto a floured surface and knead the dough about 20 times gently. Roll out the dough to about 1/4-1/2" thick and cut with biscuit cutter. Place on an ungreased jelly roll pan or cookie sheet and bake for 8 minutes. Take a stick of margarine and using the end of the stick, smear butter over the top of the biscuits as soon as they come out of the oven. Makes 12 big biscuits. Whisk the dry ingredients together in a small saucepot. Add in the milk and whisk until there are no lumps. Cook over medium heat, stirring gently constantly, for 7 minutes. Remove from heat and immediately stir in the margarine and vanilla. Serve over biscuits with a dallop of margarine on top of them all. Makes 3 cups of gravy. 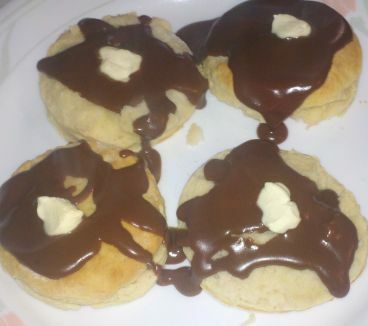 Biscuits with chocolate gravy and a dallop of margarine on top. 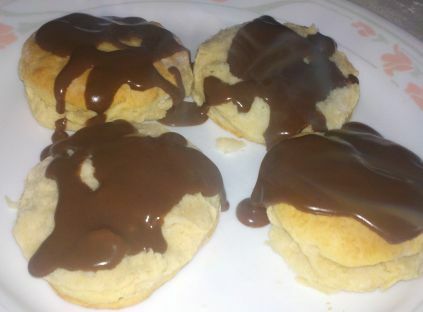 Biscuits with chocolate gravy! Yum, yum, yum! Marci, sure you can! Hope you have a chance to try it out and your family likes it! oh my! Yummy HEAVEN!! :D That looks so so good!! I'm from the North, but moved down South 7 years ago. I remember my son spent the night at a friend's house and came home boosting about the chocolate gravy Ms Bonnie made. 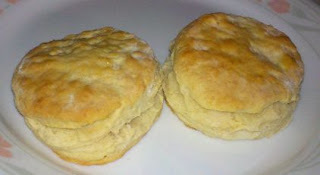 I have the recipe, but have a real interest in your homemade biscuits recipe, so I pinned it. Consider linking up this blog post at Tuesdays With a Twist. Joyce, I am glad you pinned the recipe. Once you try the biscuits, let me know what you think! Heading to your link up now. Thanks for the invite! I wish I could just grab one or two and eat. This looks Amazing! My girls are going to love it. Thanks! You're welcome and thank you for dropping by and hope you will return real soon. Oh my goodness this sounds heavenly! Thank you for sharing your recipe with us at Funtastic Friday!